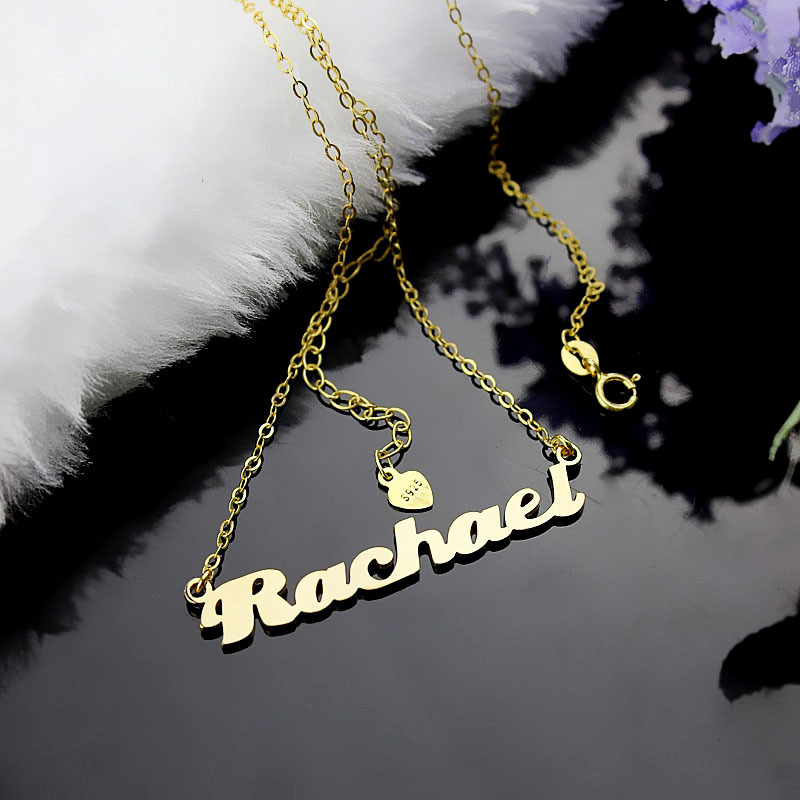 This elegantly and fashionably written in script name necklace can be personalized with up to ten letters, made by hand of sterling silver and high polished for a shiny finsh. You may choose a chain length. Personalise your own Solid Gold Justine style necklace, any name or word! 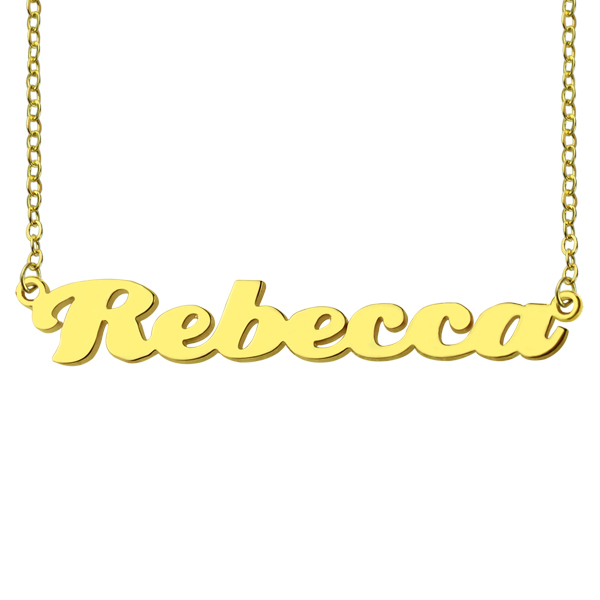 Make your own Solid Gold Puff Necklace.